A true Nobuiye of an early generation. 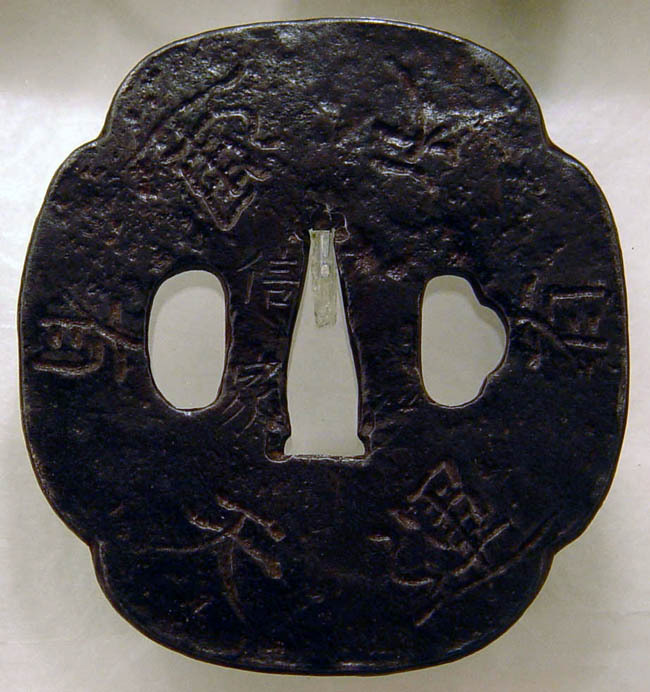 Iron mokko shape plate with slightly raised rim and the surface carved and worked in the classic style of the Nobuiye school. 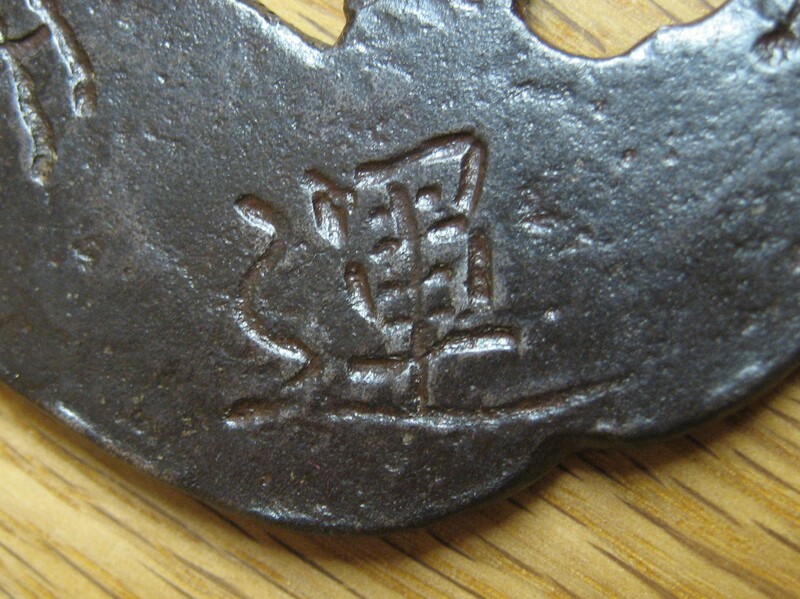 The plate is very hard and very well forged with strong iron bones and hammer work. 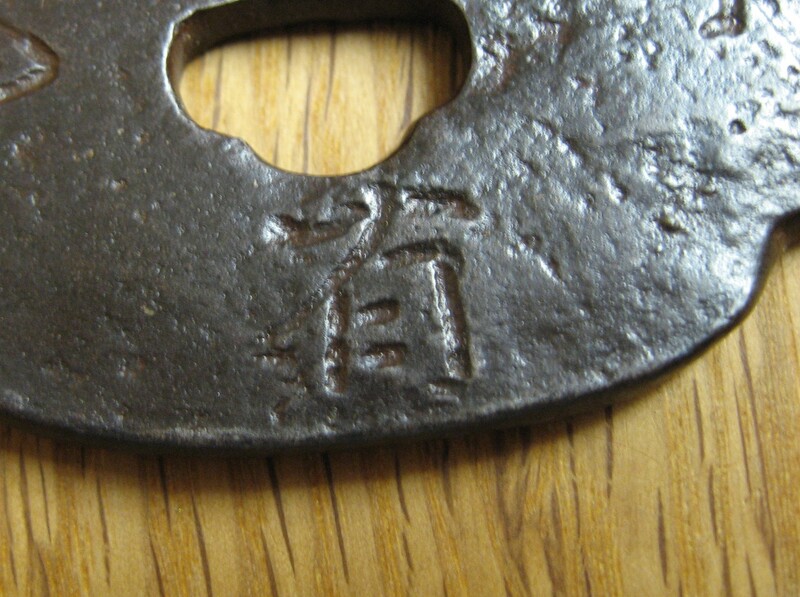 Known as "wide spaced signature" (kanji are carved at the top and bottom of seppa-dai area), this important tsuba is additional to those already known. This example is superior to many of the others in both quality of the work and the attention to the detail carving. In this example the style of signature is not a copy of any known example, and shows the independent hand of the artist. 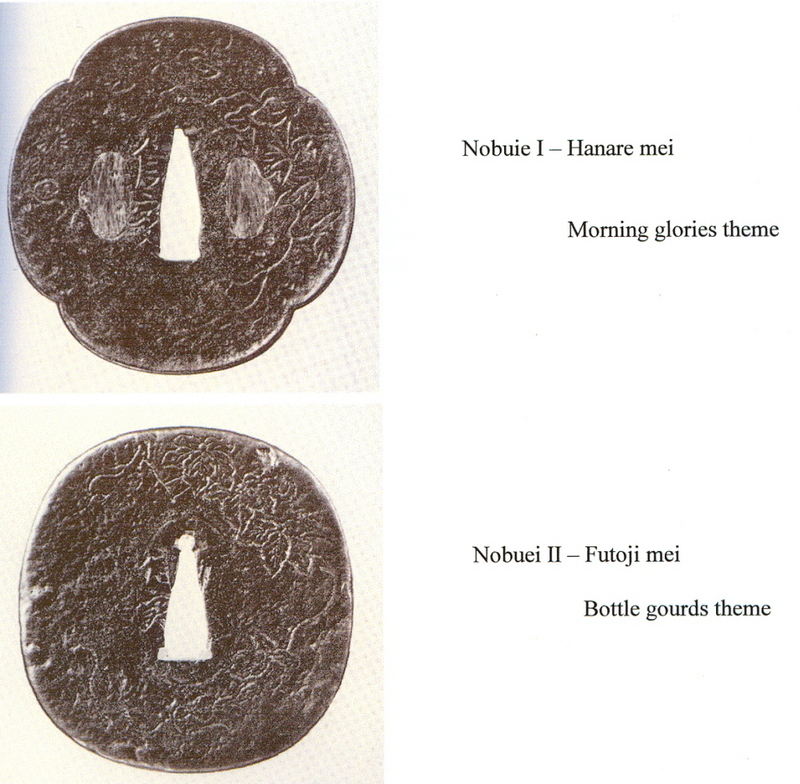 It is important to fully study the many various masters of the Nobuiye group and not beleive in the idea that there were only "two" great masters. The true examples will be found in the quality of the iron, its forging, and the shapes, designs and pure beauty of the metal as seen here. 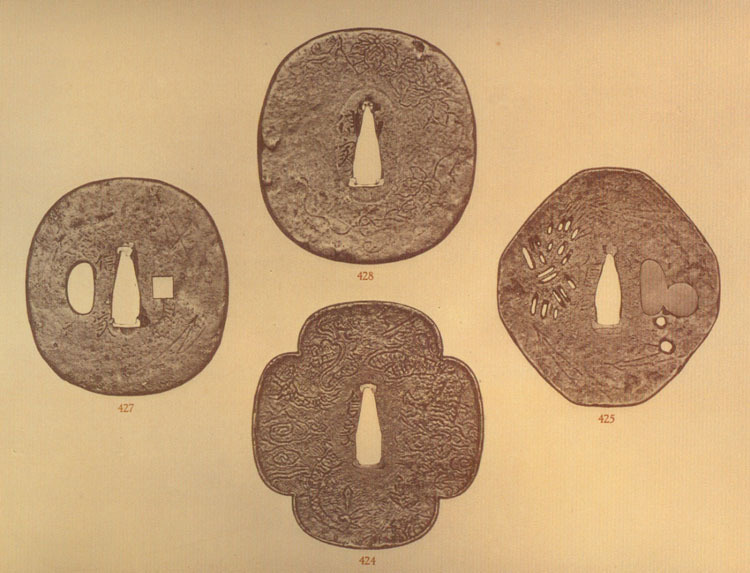 The large three characters of 'Un Yu Ten' are powerfully carved repeatedly on the omote and ura. 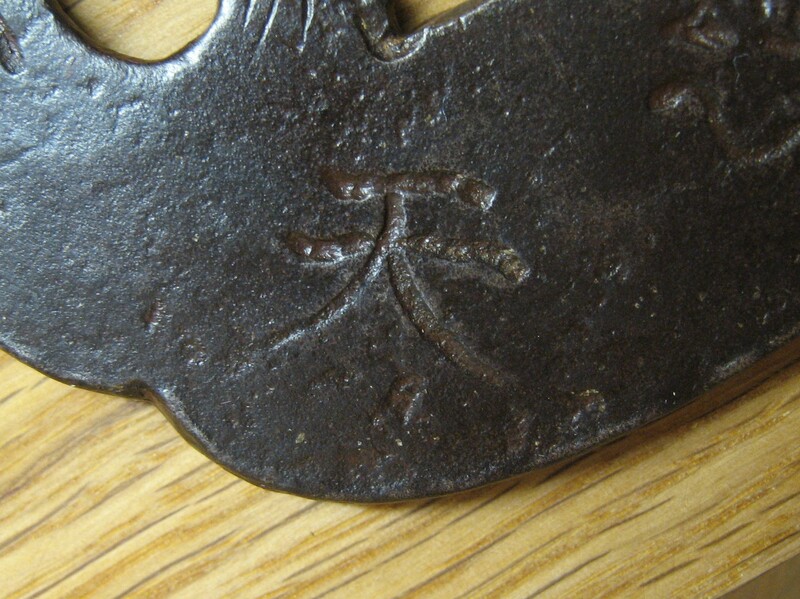 The characters appear to express the spiritual enlightenment of samurai who lived in the Sengoku Period. 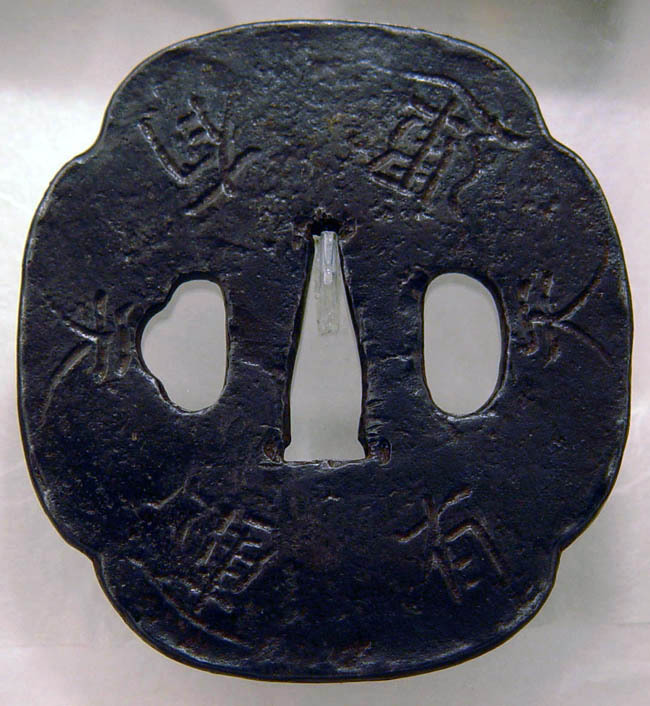 Nobuiye often uses Chinese characters favored by samurai who prayed for their good fortune in battle. 'Ga-mei' or 'elegant signature' specifically being called 'Hanare-mei' and therefore SHODAI work. 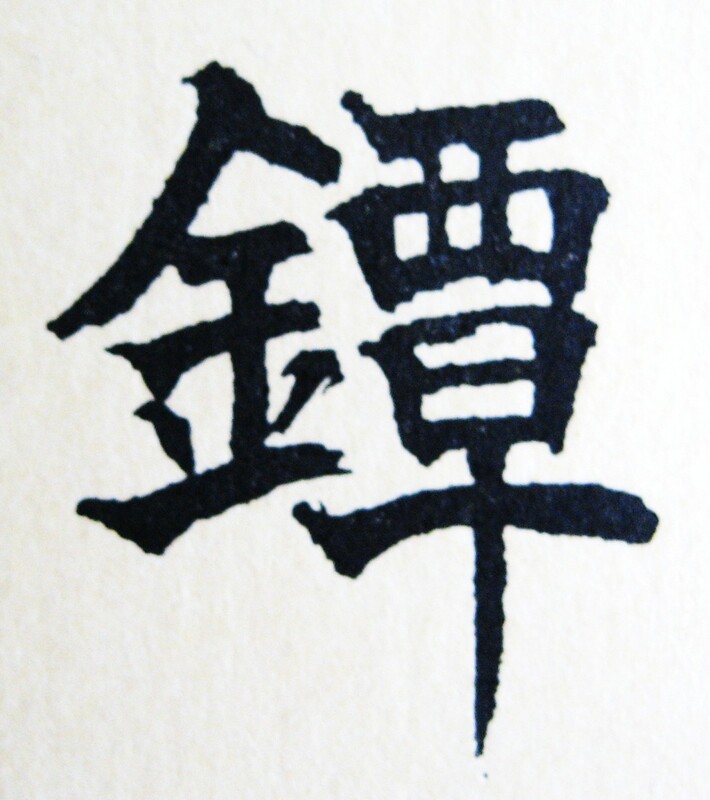 'Chikara-mei' or 'mighty signature' specifically being called 'Futoji-mei' and therefore one of the four signature styles of the NIDAI's work along with 'Katchu-mei', 'Sakai-mei' and 'Sumari-mei'. 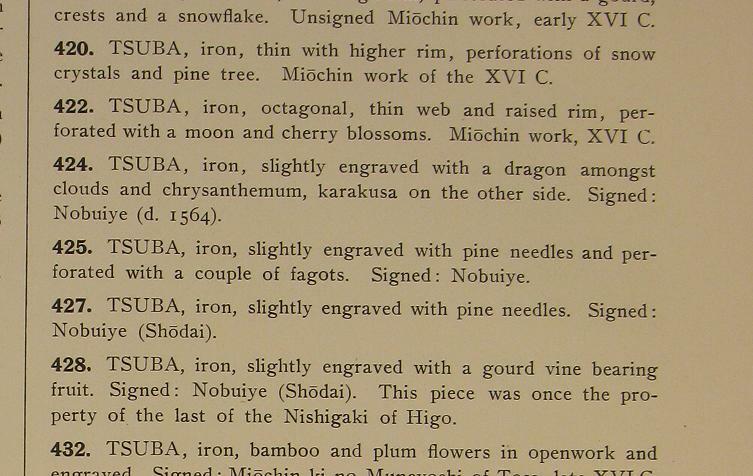 There are now five examples of the 'Nobu' and 'iye' wide-spaced signature by the same artist. This would tend to prove that this is not a forgery of the great Nobuiye or even the work of Fujiwara Nobuiye, but rather an artist of the Momoyama period who was directly related to the two great masters.